›Checkerboard Lime Green Golden Retriever Ceramic Ornament, 2.81 In. 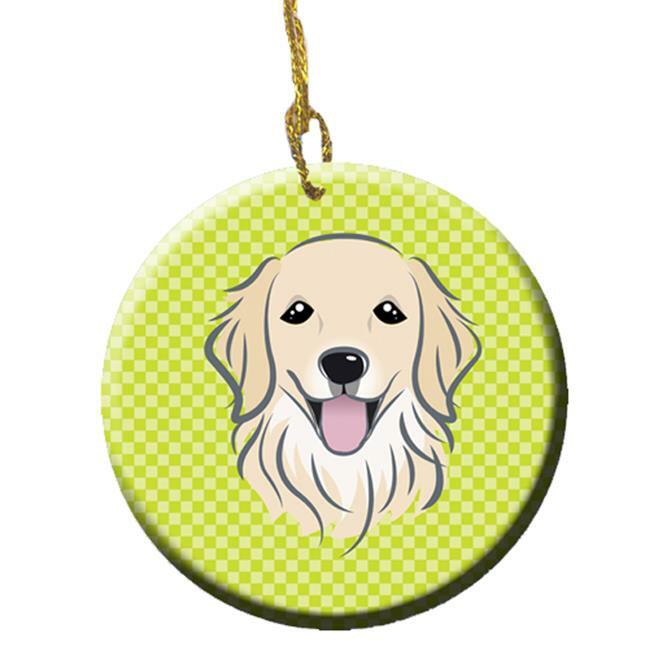 Checkerboard Lime Green Golden Retriever Ceramic Ornament, 2.81 In. Features. Product Type - Ceramic Ornament. Porcelain Round.. This gloss white ceramic ornament is great for Christmas.. Included is a small gold cord for hanging.